On October 17, 1989, the magnitude 6.9 Loma Prieta earthquake struck, hitting homes in San Francisco's Marina District (pictured) especially hard. Photo copyright: U.S. Geological Survey. Since I adopted San Francisco as my home and commute on I-280 along the San Andreas every day, I gained peace of mind by putting together an earthquake kit for my car and my yard for when the next Big Enough One hits. I’ve also braced my home with plywood shear walls and taken NERT disaster training from the SF Fire Department. I’m as ready as possible—are you? On October 17, 1989, the magnitude 6.9 Loma Prieta earthquake struck, hitting homes in San Francisco’s Marina District (pictured) especially hard. Photo copyright: U.S. Geological Survey. 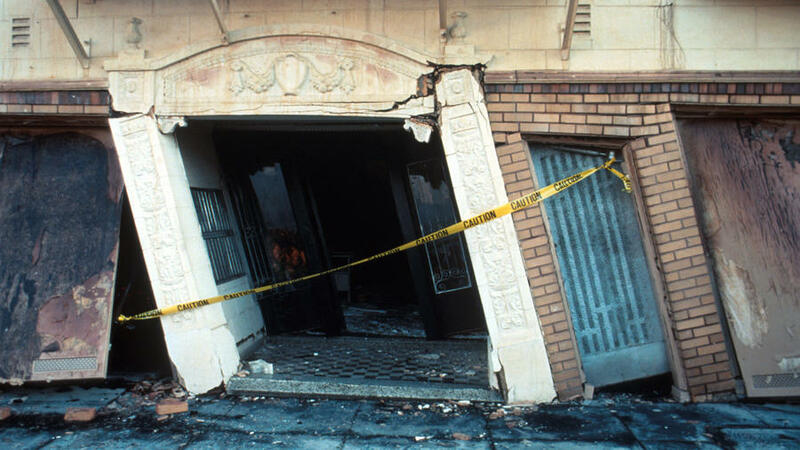 No matter where you live, preparedness and resiliency are the twin keys to surviving the unexpected, whether that’s a fire, a hurricane, or a strong temblor—and according to USGS senior geologist and Bay Area Earthquake Alliance co-chair David Schwartz, “There’s a 2-in-3 chance in the next 30 years of a 6+ quake or even multiple big quakes on the Bay Area’s network of faults.” In Oregon, a megaquake could occur. Colorado had a 6.6 in the Front Range in 1882. Even the Midwest is at risk. Remember the damage that a 6.0 Napa quake caused in August, and that just a 6.2 magnitude quake would be 2 times stronger than the Napa quake. Don’t panic; just start getting prepared. You know you should have an earthquake kit. If you don’t have one, block out some time to make one this weekend—do it in honor of Loma Prieta’s 25th anniversary. You can follow the packing list in this post or this one, and use this one for a “go bag” (keep one tied under your bed so you can slip on shoes and have a flashlight handy if the power goes out and you suspect broken glass). Or buy a premade earthquake kit and add these 5 things. Next, make a reunification/rendezvous plan: It’s as simple as who in your family will walk where if there’s gridlock or you run out of gas (we’ll meet at our kids’ school on weekdays, at home on evenings and weekends). And pick an out-of-state contact you can call on a land line (remember those?) and who has your family and friends’ phone numbers so your point person can relay that you’re okay. Practice drop, cover, and hold on (doorways are no longer the go-to spot!) and learn what to do if you’re already outdoors—but don’t run out of a building. Now that you’ve got the survival basics covered, make your home—and your stuff—as resilient as possible. You probably saw the Napa quake’s damage and winced over all of that spilled wine. The West drinks a lot of wine: More than 60 million glasses per week—10 million by Sunset readers alone. But watch what can happen to your collection if you leave your wine rack untethered. Keep your wine rack safe by using furniture straps to anchor it to the wall—as you should for any freestanding furniture that could topple over. Then secure those prized bottles of wine with Museum Wax, which works great on china and knickknacks as well. Another anchor for wine bottles are bottle leashes, which you can MacGyver with O-rings and zip ties. And keep those walls of your home standing by bracing them with shear walls. Just about any contractor can help. The Association of Bay Area Governments offers a residential seismic retrofitting plan on their website as well as info to walk homeowners through the terminology and positioning of shear walls and foundation bolts. Most newer private and public construction in the Bay Area is thankfully built to increased seismic standards, and the USGS estimates that Bay Area agencies alone have “invested more than $30 billion to retrofit or replace bridges, pipelines, hospitals” and other infrastructure since Loma Prieta in 1989, to make our cities more resilient and to reduce recovery time after the next big quake. To help homeowners in SoCal and NorCal offset the cost of retrofitting private property, two California state agencies are releasing funds in early 2015 (check EarthquakeBraceBolt.com to see if your zip code qualifies). But for the most part, city/county and state governments aren’t using public funds to retrofit private property—so that construction work is left to homeowners and private business owners to decide whether to complete. And according to Risk Management Solutions, only 10 percent of California homeowners have earthquake insurance (do you? ), which leaves the Bay Area’s rising property values at greater risk for a big loss. Whether or not you’re insured, retrofitting your home and securing your valuables are relatively minor investments that you should make. Personally, when I bolted awake during the Napa quake, it was a relief to know that the shear walls on the ground floor were bracing my house. I somewhat calmly ducked, covered, and listened to my china rattling but not crashing down and my tall cabinets gently thumping against the walls they’re strapped to. As the USGS says: “Earthquakes don’t kill people. Buildings and their contents do.” We can’t stop the next earthquake or other natural disaster that is headed our way. But we can be ready.